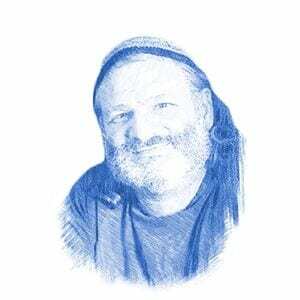 Global Warming Prophesied as Punishment for Not Building Temple - Breaking Israel News | Latest News. Biblical Perspective. A recent study predicts that the effects of global warming will be multiplied in the Mideast and Israel, making the region dry and uninhabitable within less than fifty years. However, while the reason for the spike in heat might be scientific, the true cause can be found in the Bible. Researchers at the Max Planck Institute for Chemistry and the Cyprus Institute in Nicosia have predicted that the Middle East and Africa will be harder hit by global warming than other parts of the world. Summer heat in the region is expected to increase at twice the rate predicted for the rest of the globe, reaching 114 degrees Fahrenheit by 2050. By the end of the century, average midday temperatures could reach 122 degrees Fahrenheit, making the region virtually uninhabitable. The number of exceptionally hot days has doubled since 1970, but scientists expect that to increase five-fold. Global warming will be exacerbated in the Mideast by airborne desert dust resulting from widespread droughts. The weather could affect global politics in a way we might already be seeing.”It will surely contribute to the pressure to migrate,” predicted Lelieveld, hinting at greater waves of Middle-Eastern refugees fleeing drought and extreme weather. Ominous portents of this process have already been seen in the region. 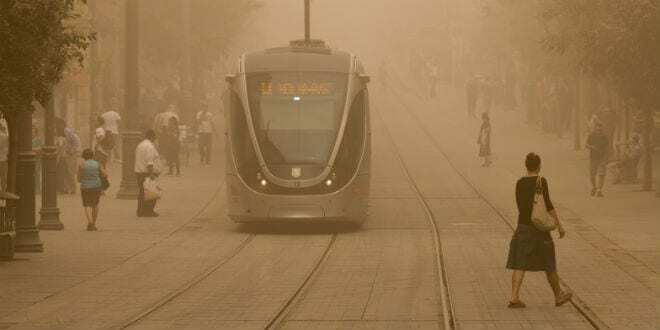 A record-breaking mega-sandstorm in September covered Israel, Jordan, eastern Egypt, and southern Syria. Some meteorologists blamed this freak occurrence on global warming, but others attributed it to regional conflict. Professor Uri Dayan, an expert on dust storms from the Hebrew University in Jerusalem, told Xinhua that the sandstorm may have been due to the war in Syria. He explained that farmers were forced to leave their fields, which may have led the arid and dusty terrain to be more prone to dust storms. While scientists fret and seek a technological solution to the dilemma, Biblical sources may provide a better understanding of its roots and resolution. In the Bible, weather is not perceived as a random or mechanical process operating, but as a significant channel through which God relates to man and guides his actions. This was made clear in the time of Noah, and emphasized by the plagues in Egypt.